Home / seasonal / Cold water, not so cold? 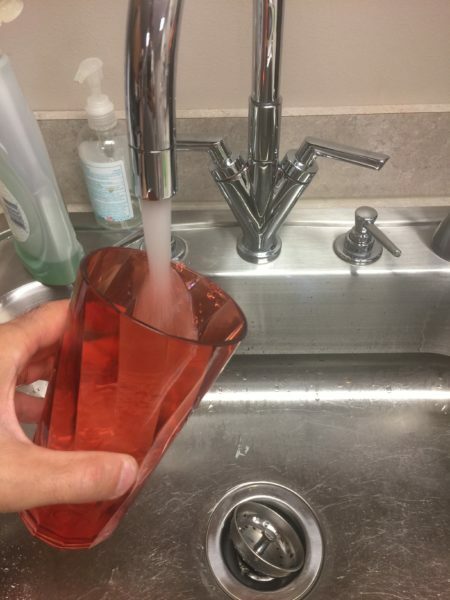 It’s the height of the summer, you turn on the cold tap and set your glass underneath. the water rushes into the glass, clear and enticing. you raise the glass to your parched lips and take a large gulp of the cool, fresh water. Except it’s warm! you nearly spit it out in your surprise. you look back down at the tap. you make sure you chose cold water… what has happened?! There are a number of factors that can turn your cold water warm. Run the water for a moment – does it begin to cool down? if so, it is likely the air temperature is warming your pipes, so the water sitting in your pipes waiting to be used is warming up and once it’s run through, you get colder water. cold water lines are rarely insulated for energy efficiency, and so in hotter temperatures the air temp can affect the water temp. Sometimes pipes are run in attics, crawlspaces or basements that aren’t conditioned. Sometimes they’re run in un-insulated or under-insulated walls. Any of these factors could be at play. Still warm after running the water? It’s not usually your supply lines – below the frostline, the ground temperature stays relatively constant. What can cause warmer water is the source of the water – if it’s from a resevoir, the air temp can heat the body of water and make your water warmer. The reverse is true in the winter. when that resevoir starts to freeze over, you’ll get nice cool drinking water! Stay cool out there! drop some ice in your glass and enjoy the summer. it’ll be gone before we know it. It’s funny that this was posted today. I was thinking this morning while brushing my teeth that the water temp was pretty warm. Of course it’s been close to 100 degrees for quite a while and the pipes do go through the attic.